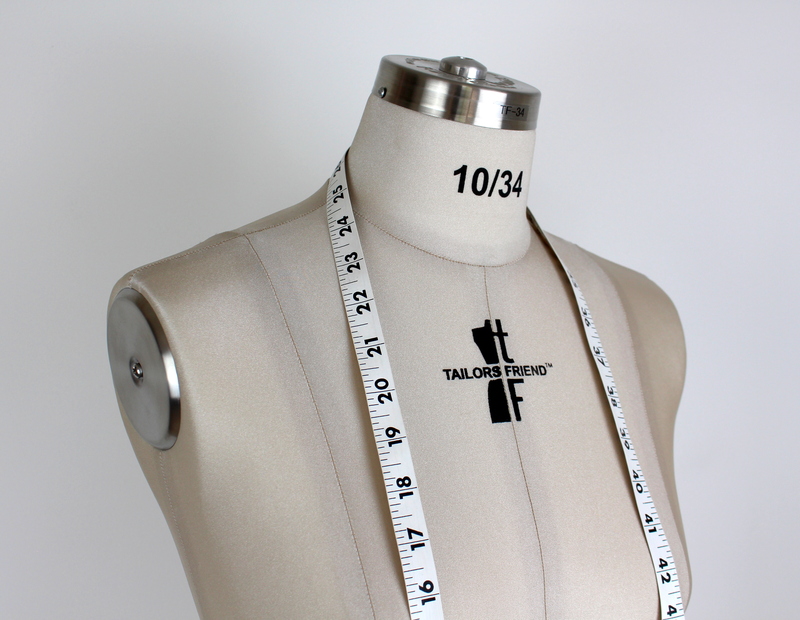 A review of the Tailor’s Friend dress form from Figure Forms. 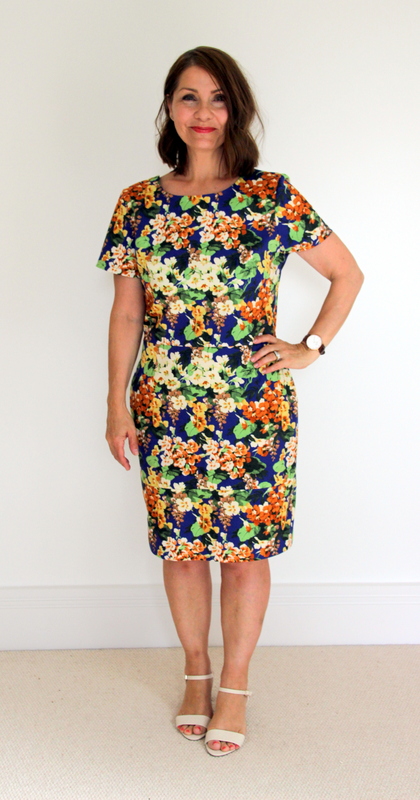 I am incredibly lucky to receive some wonderful work opportunities through writing this sewing blog, and a few months ago I was contacted by Figure Forms of Cape Town who told me all about their dressmaking mannequin business and in particular the Tailor’s Friend. 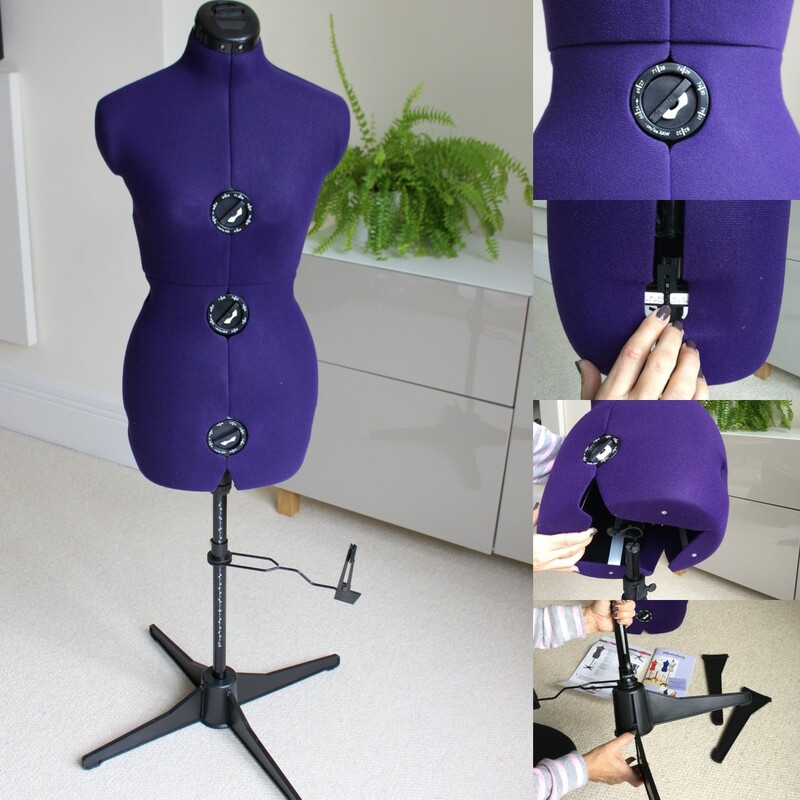 A hugely important piece of equipment for any dressmaker, whether you are a professional seamstress or someone who is sewing purely for pleasure, is a dress form. I am looking forward to sharing with you today some details and features of the beautiful model that was sent to me, and have enjoyed giving it a thorough testing over the past few weeks. So firstly let me tell you a little about Figure Forms. They are a family owned business, established back in 1989, based in South Africa. They specialise in industrial/professional forms used by clothing retailers and manufacturers using industry standard measurements, and it is interesting to see that the more advanced models have been developed from anthropometric size surveys and even using casts from live fit models to ensure more realistic body shapes, proportions and anatomical details. So interesting and very impressive! All the models are hand produced by a small team of employees and the focus is very much on quality rather than quantity. They have over 200 models that they can produce ranging from infants, children, teen, male and female forms right through to plus size adults. O.k, so back to the Tailor’s Friend. At the time of writing any orders that are sent out to the U.K are dispatched directly from the factory in South Africa, and mine arrived in a little over 2 weeks. It was incredibly well packaged with cardboard and bubble wrap ensuring that the contents were well protected in transit and arrived in perfect condition. Assembling the mannequin was very quick and easy. It has a strong steel tripod base which the dummy itself slots into and the height is easily adjustable. So I would mention that it is fairly heavy but this is to be expected with steel fittings and you cannot argue with the strength and stability that this gives! I can see how years of providing to the retail market has meant that Figure Forms have developed sturdy equipment that is often used in a busy retail or manufacturing environment. How pretty is the beige fabric colour that I chose? Other colours are available and you have the choice to select from black, red, pink or grey. The Tailor’s friend is currently available in 4 sizes – 8/32, 10/34, 12/36 and 14/38. The fabric finish (nylon elastane) provides a ‘frictionless’ surface, limiting the amount of drag on a fitted garment and replicates how the fabric would feel against the human skin. The body is made from rigid polyurethane, it is fully pinnable and I have found this particularly useful recently for button placements and also on the occasions that I pin my paper pattern pieces to the form. It is worth mentioning that although I have only been using this dress form for a short while, the pins when removed have not damaged the fabric surface of the mannequin. Over the last few weeks I have been able to test it using a number of different fabrics including crepe, gabardine, viscose and scuba. The crepe and viscose slide over the dress form easily, as does the scuba (which surprised me), and the gabardine has a little friction resistance, but nothing too drastic. Amongst some of the fabrics tested are from top left: crepe, scuba, gabardine and viscose. The size of the mannequins are not adjustable. As someone who is prone to regular weight gains and losses I did have concerns as to whether a non-adjustable dress form would work for me, as an ‘at home’ seamstress. 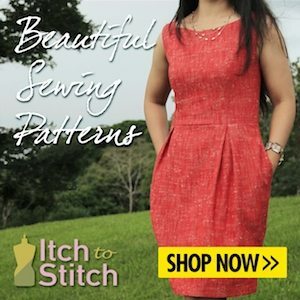 A pattern maker or designer will create their basic block patterns with a core size and grade up and down to achieve different sizes, incorporating ease into the fit and allowing for the fabric types and style of the garment etc. So whilst I can see that this set size is perfect for the retail and design market, I have now had the chance to consider how it fits into the ‘at home’ sewing situation. 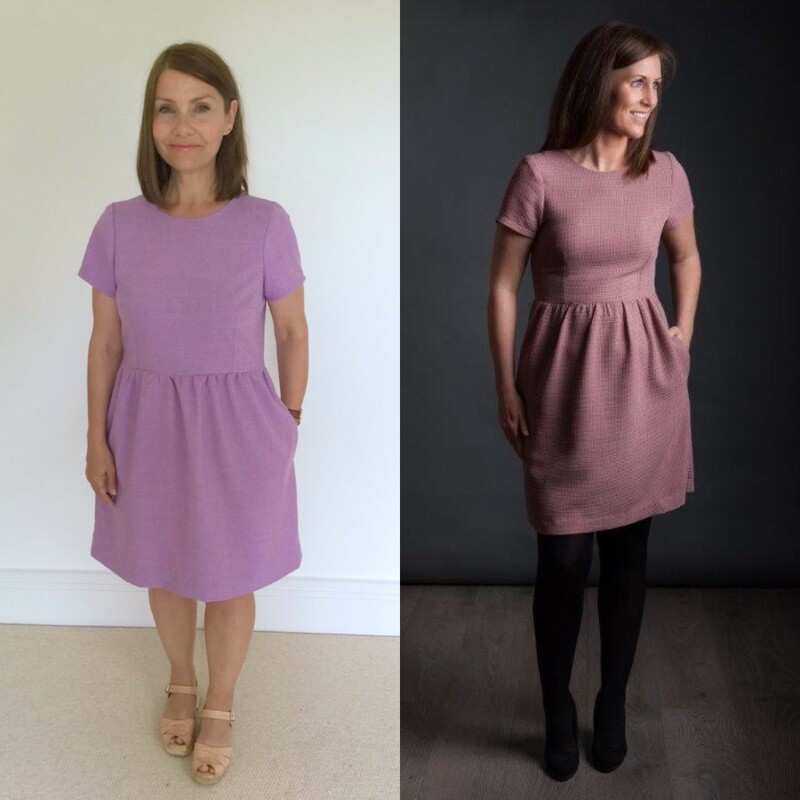 Whilst our measurements can fluctuate all the time I can see that the dress form can be useful as an approximate guide to your size, and is great when being used to design, pin and drape the garment. I know that before I hem an item I will always let it hang for at least 24 hrs and the difference between doing this on a 3-D dress form and a regular narrow clothes hanger is incredible. With orders currently being shipped individually from South Africa, the cost of delivery must be taken into consideration and you will find an excellent customer service team on hand at Figure Forms if you would like to discuss what these costs are likely to be, whether you are an individual customer or if you are considering larger order numbers. I believe that retail outlets in the U.K are currently being sourced so that hopefully in the future they will become available to purchase in the U.K without the overseas postal costs. I have been very impressed by the quality of this dress form, and have thoroughly enjoyed spending the last few weeks with this beautiful lady by my side in my sewing room. I have definitely got over my initial concerns about the fact that she was not adjustable and have found that on a day to day basis I am using her for everything that I need. I also think that she looks rather lovely at the same time! As mentioned at the start, this dress form was kindly sent to me by Figure Forms for review. The thoughts and opinions shared in this blog post are solely my own. 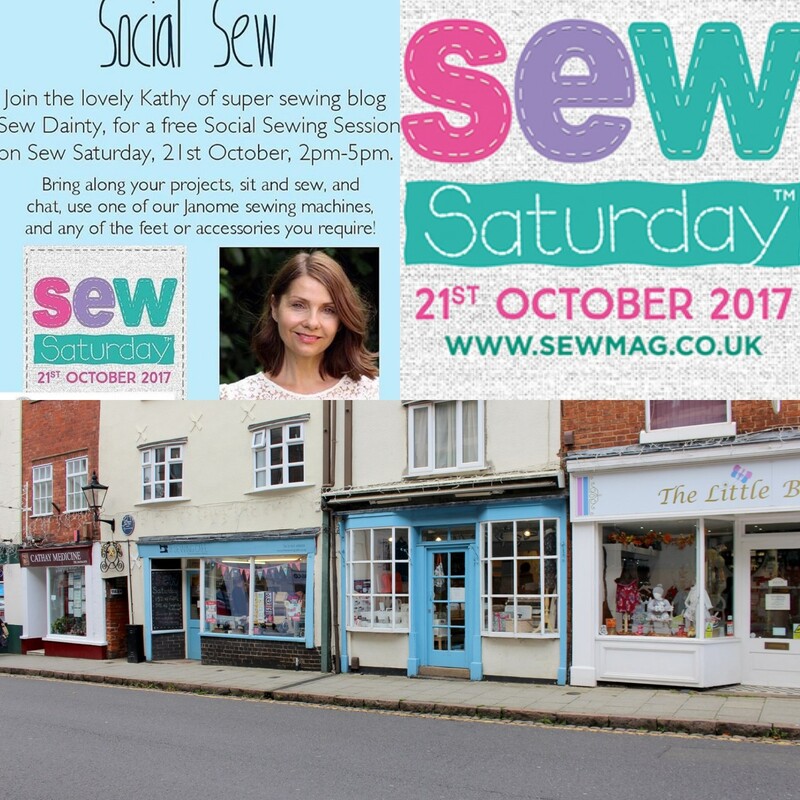 I am so excited to share with you my first blog post as part of the Minerva Crafts Blogging Network. I have recently written a couple of guest blogs for Minerva, but this is my first blog post as part of their Blogging Network. All the supplies that I used, including the pattern itself, can be found listed with the review. I thought it was about time that I made a skirt. I’ve made lots and lots of dresses lately and I fancied a change. I have had this fabric in my stash for a little while now and knew I wanted it for a skirt. During the Black Friday sale in November I treated myself to the Tulip Skirt PDF and I was excited to make it. I have made a Sew Over It Erin Skirt recently here and loved it, so I was pretty sure I would enjoy this one too! Is anybody else taking part in the #2017makenine challenge? This is the first of my nine choices. A good start to the new year! So just to let you know that it is only available in PDF format. I must admit I do prefer a paper pattern, but it didn’t take too long to put together as there are only 4 pattern pieces – a skirt front, a skirt back, pocket and waistband. Nice and simple. You can choose to make it in 2 lengths. I chose the shorter length as I am only 5’2″ and it was spot on. I was so pleased with my fabric choice. The style of this skirt definitely requires at least a medium weight fabric. The pattern recommends a medium to heavy weight cotton, wool or crepe. It was quick to make up. I prepared the PDF, traced the pattern and cut it out on one afternoon, and then it only took a couple of hours the next afternoon to sew it up. The pleats are easy to fold if you simply follow the written instructions, don’t try to overcomplicate it and then end up scratching your head for 10 mins like I did. There are photos to accompany the written instructions. I also struggled a bit with the waistband for some reason, but got there in the end! My only other ‘alteration’ was that I used a standard zip and not a concealed zip as suggested. This was a bit of an error on my part. The pattern calls for an 8″ concealed zip and I was beyond excited to find that I actually had one which was the perfect length and colour already in my stash. Off I jolly well went fitting it to the skirt with my invisible zipper foot on my machine, thinking that the teeth didn’t feel like invisible teeth normally do as they run through the grooves on the zipper foot. It was only as I finished and zipped it up I realised that I had used a regular nylon coil zip, and therefore due to the width of the pull tab it wouldn’t be invisible at all. Ho hum, you live and learn, it doesn’t really matter that much I don’t think. At least the waistband seam matches up pretty well! I chose to make the skirt without pockets. Unusual, as I normally can’t get enough of them but I wondered that in a skirt of this style whether it would make for too much bulk around the hips. On reflection I don’t think it would have made much difference as they would lay so flat inside the skirt anyway. The back of the skirt is lovely and simple. Just a couple of darts for shaping and a nice smooth finish. I’m really pleased with how the skirt came out. The shape is very flattering, feminine and very wearable. I would love to hear if you have made a Sew Over It Tulip Skirt too. How did you get on?